Pool water testing in four easy steps. Luxecare Pool & Spa Service and Supplies is the trusted partner for all Sonco Pools and Spas pool supplies and maintenance. 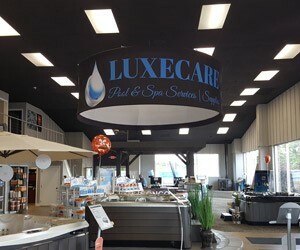 The Luxecare brand provides many solutions for the pool and spa oriented customer. One of the many great services we provide is free pool and spa water testing. 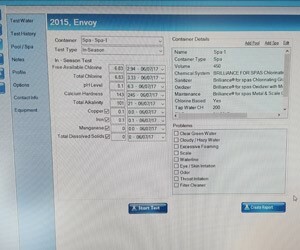 At Luxecare we used the most advanced water testing platform available on the market to ensure you get the best possible results from your pool test. Testing your pool and/or spa water can be achieved in four simple steps. Step One : you will need to collect a sample of the water for testing. Step Two : stop into our retail location at 7920 N Alpine Rd Machesney Park, IL 61111 with the water you have collected. Step Three : we test your water using the Clear 360 water testing system. Step Four : we review the test findings and recommend the specific solutions to get your water back into top swimming condition. That’s it! In four easy steps our team can help get you back into a healthy swimming pool. Our expert staff has been trained in pool chemistry and can help guide you every step of the way. Is your water green, foggy or unsafe for swimming? Bring your pool or spa water in for testing and let our team diagnose your water’s problems. 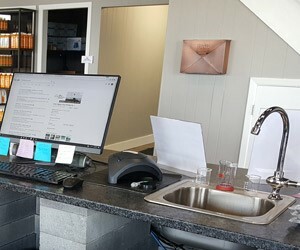 © 2019 Luxe Care Pool Services and Supplies.